The number of titles published about miserable married women, disappointed in their husbands and frustrated by their children, is enough to girdle the globe at least twice. Many such novels are so dull that the remaindered copies could provide the foundations for a dozen motorways. 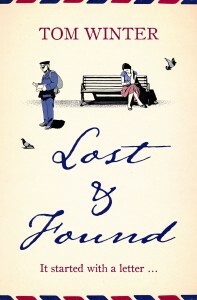 All of which makes the discovery of Lost & Found not only a pleasure but also a genuine surprise. The miserable married woman is Carol. Her husband is ‘a certifiable dickhead’ and her daughter a nightmare. As we are introduced to Carol, we’re told she read all the child-rearing handbooks but now feels that Sun Tzu’s Art of War or ‘a field study of rabid primates’ would have been more use. The tone is set. Carol may be unhappy and thwarted but she is no lachrymose, drooping victim. She begins to fight back against her depression by writing letters and posting them in envelopes marked only with a smiley face. They fall into the hands of Albert, a widower who has worked for the Post Office for forty years or more. His life is no more satisfactory than Carol’s. He’s lonely and sees almost no one except his bullying neighbour and his patronizing, much younger colleagues. His only warmth comes from his cat, Gloria, who suffers a serious injury. At work he’s put in charge of the undeliverable post and, contrary to all regulations, removes Carol’s letters, considering them to be addressed to himself. Soon he is looking for her, using the clues in her letters to work out where she lives. In spite of the small, soul-shrivelling lives of these two unlikely heroes, their parallel adventures in the unexciting suburb of Croydon offer great charm. Winter’s style is chatty and his wit gentle, but he has a sharp enough edge to avoid sentimentality. His message is more admonitory than consoling: anyone can make a difference; all it takes is stepping outside your dreary routine. He is said to be at work on his second novel and it will be interesting to see how he tops this charming tale of Albert and Carol.